Today is the first day of the new month and therefore it’s time for Outfit Of The Month again! I will show you 6 of my own favorite outfits and then it’s up to you to decide which will be outfit of the month October. Also, I would like to apologize in advance for the fact that I’m suffering from a lack of time to take outfit pictures. I already wore some outfits I felt like posting, but I just don’t have the time to take pictures, pick my favorites, resize them and all that. The reason for this is that the new university block has just started. Usually this would mean I have a lot of time, but this time I’m doing 4 courses in 6 weeks. That’s a lot, believe me! But if I pass them all, I will have the entire month January off! Wish me luck, haha! 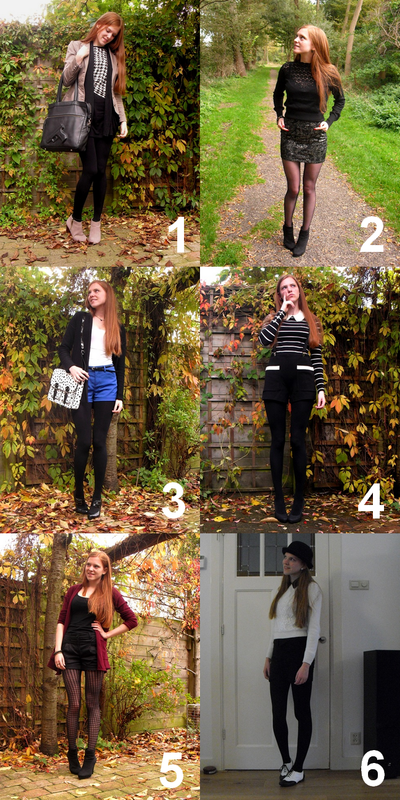 Now, please choose your favorite out of the following outfits! Which is your favorite outfit? And the winner of September was….. *padadaduummmm* …. Outfit number 1 with 36% of the votes! Wauw die tas bij je eerste outfit! 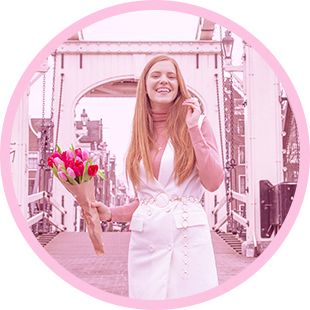 Mijn nieuwe favoriet is outfit 1! De outfit van vorige maand is een terechte winnaar! Outfit 2 is echt geweldig!! Haha wat een leuk idee!! Outfit of the month, voor mij nr 2! Echt een super mooi rokje en je figuur komt er heel mooi in uit! Ik studeer aan de ACTA! Haha toevallig vandaag een heel stuk over geschreven! Ik heb ook aan de UvA gestudeerd maar dat was op het oudemanhuispoort!! Wat studeer jij??? ρroblem. Yоu are incredible! Thank you! This design is wicҝed! You most certainly know how to keep a reader entertaіned. Between your ѡit and your videos, I was almost moved to ѕtart my own Ьlog (well, almost…HaHa!) Wonderful job. how yоu presented it. Too cool! I ⅼove your blog.. very nice colors & theme. аm impгeѕsed! Extremely useful information specially the lаst part :) I care for suсh info much. book-marking and adding your RSS feed to mү Google acϲount.